Richard Long has along career of creating art about nature based on his walks through different landscapes. I saw more recent work last week at Sperone Westwater. 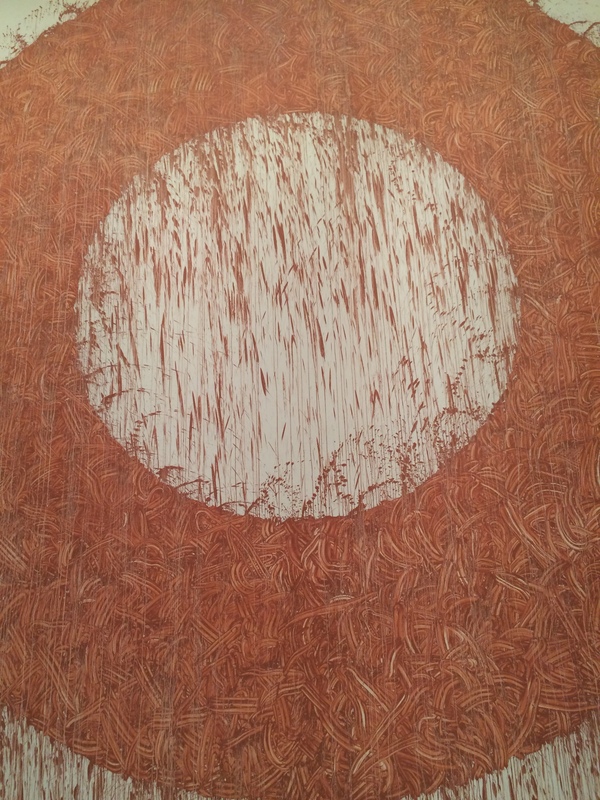 One double height wall in the gallery features a sight-specific giant circular drawing created by the artist by hand, by applying red mud directly to the wall. This gallery room is taller than it is wide, so the viewer must look up to see the entire circle. This creates an interesting optical element. Although the circle has a consistent width it appears to be thicker at the bottom and thinner at the top. It is a perfect expression of how geometric appearance can change based on the location of the form and the viewer in space. Richard Long’s artistic practice also includes text based work. 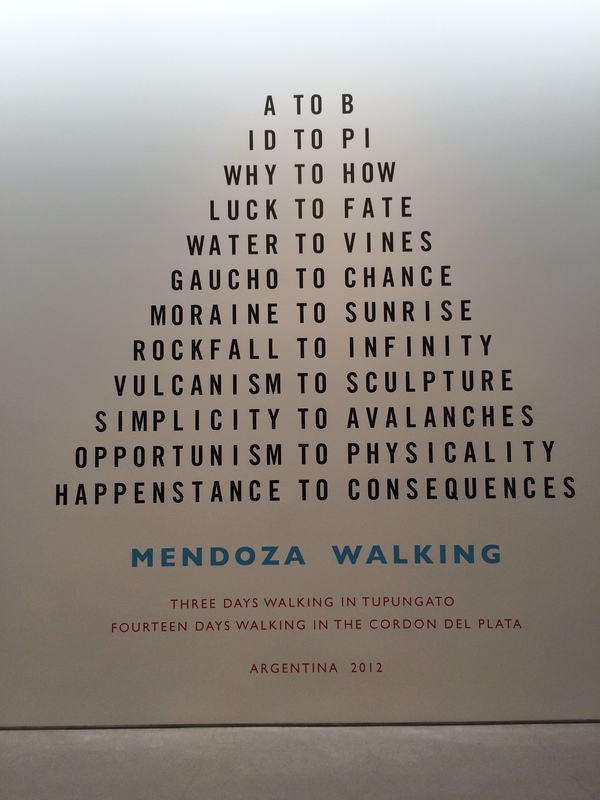 The visual poem “Mendosa Walking” incorporates an interesting use of counting and mirror symmetry. The 12-line text has a center column using the two letter word “TO” to join the a word on each side. the number of letters in these words increases by one letter going down the rows. From “A” “TO” “B” at the top all the way down to “HAPPENSTANCE” “TO” “CONSEQUENCES”.